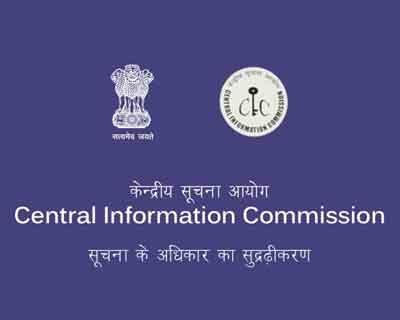 The Central Information Commission has directed the Centre to undertake a “critical review” of allocation of hundreds of seats in medical colleges across the country over and above the sanctioned capacity. In a stern order, Information Commissioner Yashovardhan Azad said such allocation is creating an “uncertain future for the candidates” admitted against these seats. The comments of the Information Commissioner came on an RTI application from a medical student who wanted to know whether the MS Ophthalmology seat offered to her, out of the two seats at Dr BR Ambedkar Medical College in Bangalore was recognized by Medical Council of India. But no response was given to her following which she approached the Commission. Azad said it is also clear that most of the provisions and stipulations laid down under the various sections of the Medical Council of India (criteria for identification of students admitted in excess of admission capacity of medical colleges) regulations, 1997 are not being followed. “It is in public interest and in the interest of thousands of meritorious students that the Central Government and the MCI should direct the Medical Colleges to furnish the list of students admitted in excess of admission capacity for every Academic session to the MCI and then take immediate appropriate action,” Azad said. Giving a rap on the knuckles of the medical education regulator of the country, Azad said the MCI is charged with the responsibility of maintaining the highest standards of Medical Education in the Country. “It grants permission to new Medical Colleges and Courses as per well established norms. This responsibility of safeguarding the quality of the Medical Institutions in the country, therefore, does not end with merely giving permission for new colleges and courses but continues in ensuring that the standards are maintained throughout,” he said. out of the two seats only one was recognised while the other had “permitted” status because of certain deficiency in the medical college. “It is the grievance of the appellant that the MCI did not issue a certificate of recognition to the MS programme pursued by her and therefore, she is unable to register herself with the State Medical Council,” Azad noted. The complainant stated that she was allotted admission upon her performance in the entrance exam and she ranked higher than the other candidate who was also offered admission in the aforesaid course. Hence, she is entitled to be offered admission against the recognised seat. “…The appellant through her RTI has raised a matter of denial of justice to a meritorious and deserving student. The appellant has been clearly discriminated against by denial of her legitimate right in the instant case,” Azad pointed out. The Information Commissioner said the tragic situation for the appellant in this case is that every concerned authority has evaded responsibility from giving a clear answer. Azad said however, neither the Medical College nor the State Medical Council took decision on this case, which on merits could have been easily decided. He said CPIO (MCI) also evaded responsibility by stating that MCI is not a seat allotting authority but only a recognising body which gives permission for establishment of new Medical Colleges or new courses of study. “…It was MCI’s bounden duty to declare the appellant who had ranked higher in merit as the rightful claimant to the recognised seat in the MS (Ophthalmology) Dr. B.R. Ambedkar Medical College, Bangalore. A clear reply furnishing this information should have been provided to the appellant’s RTI query,” he said. The Commission directs the MCI to give information to the appellant in clear and unequivocal terms whether her seat is recognised by the MCI or not within 4 weeks of the receipt of the Order, under intimation to the Commission, he said.